Despite her age, Timotea started a business with just $3 and became a role model and mentor to many young women. When fire consumed her business, Sofia found a way to rebuild. 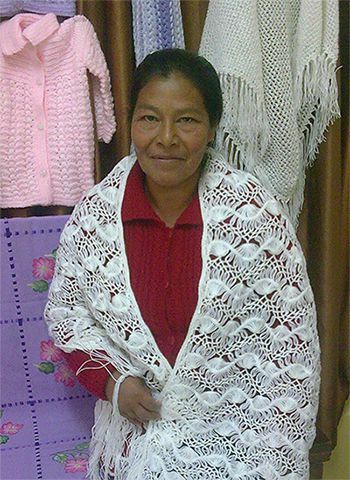 Matilda, a mother of four, was washing clothes for a living when she joined the Five Talents program in Tarija, Bolivia. Since then, her life has begun to change. She's saving for her children's education. She started a new micro-enterprise. And she's participated in workshops designed to equip her with new skills, such as marketing, accounting and goal-setting. "My husband and I had many problems saving. For years, we saved our money in a ceramic piggy bank that we kept in our house. It took us two years to save this money – the piggy bank was full of money, and we were happy because we had a lot of plans to invest the money. One day, though, my sister came to visit me at my house, and I asked her if she could stay for a week so that I could go visit my parents in the country. When I returned, she had a lot of new clothes, shoes, and jewelry. I thought that she had bought all of this with her money, but three days after she left I was cleaning my things and I noticed that my piggy bank had a hole in it. Hardly any money remained. I was very angry – it was two years of savings, and I went to my sister to confirm my suspicions. My sister told me everything – she had robbed me. I was very frustrated because she had spent everything. Since then, I've had a hard time trusting anyone. One day I was invited to be part of a savings group. I took a risk and joined, saving again, little by little. Everything went very well – it's a very serious and transparent group, so in the following years I continued to save a lot more money. And this year, my husband was very excited about all that we had saved in the group." "I had washed clothes for the last 15 years, and my hands were very battered. The doctor told me to stop washing clothes; if I didn't, I would lose my hands. So I was very worried, I didn't know what to do to work because on some occasions my husband's income was not enough. One friend told me that selling cosmetics was a good business, but I needed money for my capital investment. So we used the money that we had collected in the savings group to begin building a shop that I really wanted, and also to start my cosmetics business. Now I earn money and my hands do not suffer, and with the income we can help our children to study." "One of the workshops that I most enjoyed in the savings group was when I wrote our savings goals on paper. I had planned to use my money on something a little vain, but after we spoke in the group about making good investments, I changed my goal. I remember that Sara and Eva [the group facilitators with our partner Semillas de Bendicion, or Seeds of Blessings] asked us to draw pictures with markers to identify our savings goals. The other option was to write them out. I don't know how to write very well. I never had liked to; in fact, I am scared to write. But on this day I wanted to write my savings goal: "I am saving for my children's studies." I felt very good that day. I and all the other women that shared our goals – we wanted to change our situation, and so we were going to help one another to save. But the best of all is that we understand that saving should be the job of the whole family. So I took this paper to my house and I spoke with my family that night about what Sara and Eva had said in the workshop, and my family was united even more to save. Then I hung the paper on the wall of our room so that the whole family can remember that we are saving for our children's studies. This year, the whole family is saving in the savings group to finish building the shop and to continue using our income for our children's studies. My oldest son, Donato, 20, didn't finish studying because he wanted to work to help us. I am very sad because of this, so now when he returns from a trip I want to encourage him to study and finish school. My daughter Margarita, 16, also was working, but now she has quit her job because now she has money so that can study calmly [without worrying]. My younger children also are happy to study and are good students." Simona, a 55-year-old mother of seven, runs a micro-business selling empanadas and other food in Tarija, Bolivia. She is a member of a savings group organized by Five Talents' local partner in Bolivia, Semillas de Bendicion (Seeds of Blessings). Here, Simona opens up about her life, her husband's health, and her experience participating in a savings group. "I [was born] in the countryside, near Camargo, a beautiful land where there is a lot of fruit. As I am female and my family is very poor, I didn't go to school. We worked in the field, but I liked to sell vegetables and fruit more than planting and harvesting, so I always went with my parents into the city to sell. "Later, I got married and had seven sons. My life was very difficult. I wanted my sons to have the opportunity to study, so we went to live in the city, but [there it] was even more difficult. There wasn't enough money, and my husband, who worked as a bricklayer, began to drink. "One day he had a stroke, and [for a while] he couldn't move. Little by little, he began to recover, but he was still very angry because he couldn't work or do anything. He always sat at the door chewing coca leaf and looking at people angrily. 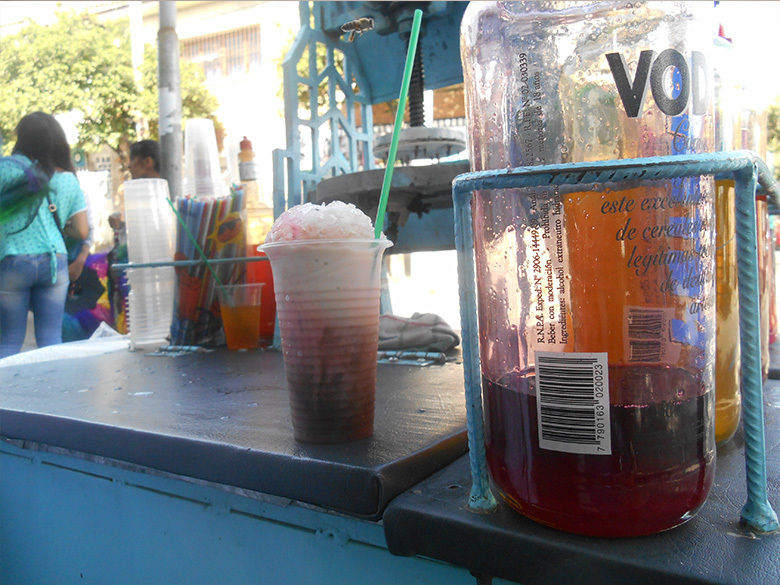 "Two years ago, I began to sell food and empanadas to earn money. I didn't sell much, and my husband sat by my side angrily watching as people walked by on the street without buying anything. "However, one day I was invited to join a savings group. Out of curiosity I went. They taught us about saving and lending the money [to one another]. I had never heard of this, so I joined because I wanted to learn new business ideas, and also I wanted a micro-loan. "The first time when I saw them give all the money that we had collectively saved to another group member, it scared me. I feared that she wouldn't return to the group, but after she returned and re-paid the loan, my mind began to change. "When it was my turn to receive a loan ($15), I was happy. I bought a crate of oil, and I felt very relieved. My business made a lot of profit. "Something that I really like [about participating in a savings group] is that we learn each week something good for our family and business. And I learned to pray and to pray for my spouse, and he has started to heal more and more. "Now, my husband walks better, he moves his right arm a little more, he is friendly, and he helps me cook and sell the food. Last week, we went to our plot of land in the field, and he told me that he was going to stay a week longer to continue working a little more. "Recently, he also received some glasses that he really needed. He felt very happy because no one had ever given him something so valuable. I continue to pray for my husband and my family, and I give thanks for the help we've received in our businesses." This article first appeared in April 2014 on the Month of Microfinance website.